Have you felt it? A slow economy? A dip in traffic? Fewer people purchasing from you at craft fairs? Less sales coming through your website? If you have, you’re not alone. When the economy takes a nosedive, people alter their spending habits and businesses feel it. 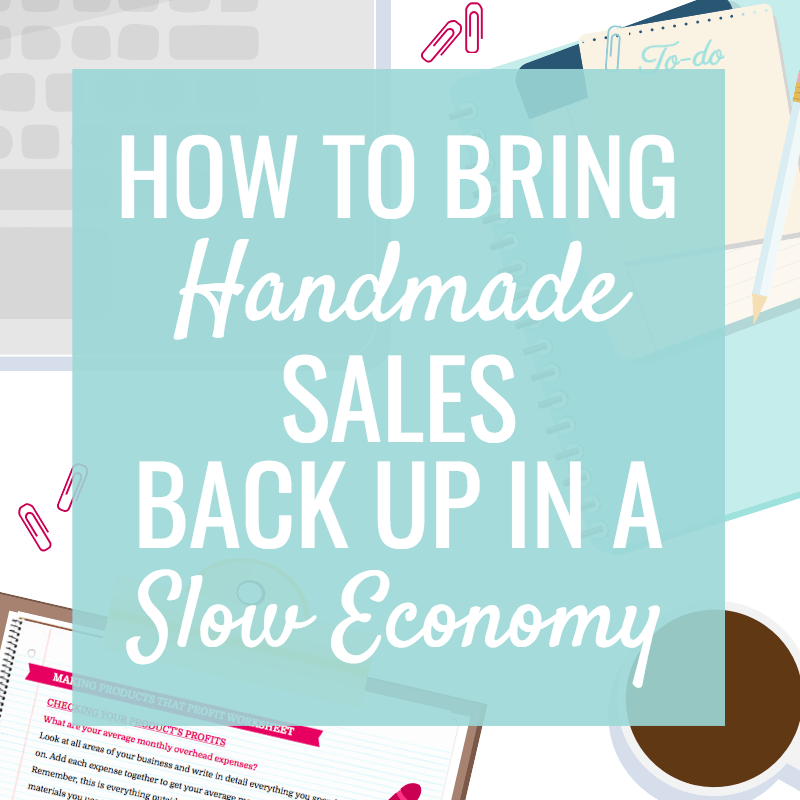 But that doesn’t mean your handmade business is doomed. As with anything in life, you have to roll with the punches and adjust your course. 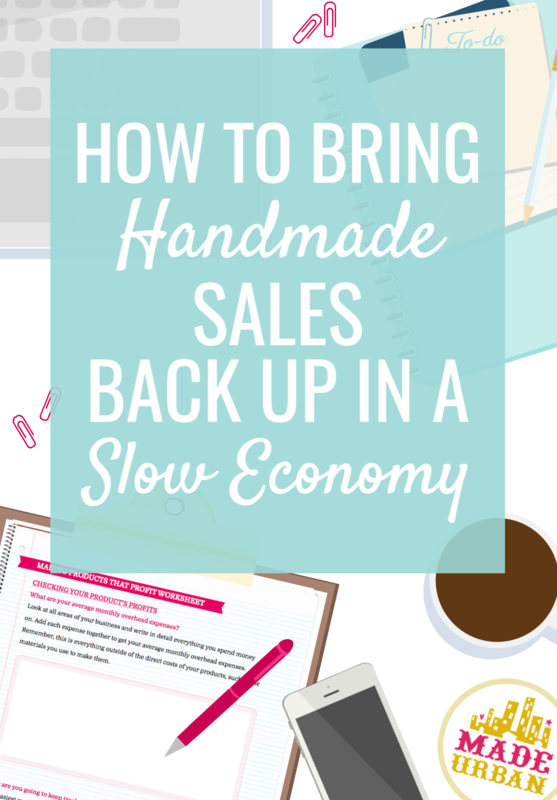 If you’re willing to go back to the drawing board and take a hard look at your handmade products, your customers and your operation, you can get yourself back on track and keep your business thriving when some consider shutting down in a slow economy. Imagine you really wanted a luxury car but couldn’t afford it. Would more flyers, more phone calls or more sales pitches encourage you to buy? No! You can’t afford it. End of story. No sale no matter how good the salesman is. What about if you sold accessories that followed a trend? If that trend died off and moved on to another trend, would you continue to sell products aimed at the old trend, losing customers as they move to someone who stays up to date? It doesn’t matter how many products you make or how you market them. If no one is searching for or interested in what you’re selling, you’re not going to make any sales. If you weren’t willing to adjust with the trends, would you expect your business to stay afloat? When the economy is slow, making sales isn’t about turning up the heat on what you’re currently doing. It’s about changing your tactics. Your customers are not static. Their needs and wants change constantly and adjusting to the slow economy is just one reason behind those changes. The human desire to purchase items that make them feel good does not change. How much they’re able to spend and how they treat themselves does. It doesn’t mean you need to drop your prices to make sales. Adjust your handmade products, how you make them, the materials you use, etc. so you can find a lower price point while still making customers feel they’re getting a lot of value. If instead of pushing the same luxury car, the salesman told you about affordable leasing options, used vehicles on the lot, the amazing trade in deals they had or showed you different models that were more affordable, you may start to show interest and considering buying a car. Take a look at your handmade products and consider how you can appeal to champagne taste on a beer budget. Look at your products with fresh eyes and consider the new needs and wants of your customers and determine how you can fulfill them in a slow economy. All of the steps mentioned below are explained in the FREE sample chapter (which you can download here) from my ebook MAKE MORE MONEY AT CRAFT FAIRS. Take a look at all the areas you spend money on your business. If you can lower your overhead costs, you can lower your prices. Do you need that rental office space or can you work out of your home while the economy is slow? How much time do you spend with each customer? You want to provide customer service but scaling back on how much back and forth you participate in can save you time. If you’re currently directing your customers to make purchases on that site that charges listing and transaction fees, move over to a 100% free platform….such as Made Urban 😉 Sign up for free here. Look at ways you can lower your production time and costs as well as the overhead expenses you’re paying each month. If you’re able to save time and money in any areas, it may allow you to keep your products as is while lowering your prices. Think about who your ideal customer is and how they may have changed now that they have less disposable income. How do they treat themselves? What do they appreciate? How can you offer them something no one else in the industry is? Throw some feelers out there through social media or by offering something new at a craft fair to see what the reaction is. If you replicate a few of your products using lower end materials and they sell out due to your customers getting the same look and function at a lower price, you know which direction to head in. Consider the different price brackets people might be willing to pay for products in your category. What are the low-end, middle and high-end price ranges? Once you determine those, think about the versions you can offer your handmade product in. Quantity – can you bundle your handmade products differently? Perhaps offering different sizes or lowering/increasing the amount they get will help appeal to different budgets. Quality – consider lowering or increasing the quality of materials or time you put into a product. An item that uses lower grade materials and is made in 15 minutes could cost less but have a similar look to a product that uses higher-grade materials and additional finishing techniques. Complimentary – are there any handmade products you can offer that compliment your main products? Boot cuffs would compliment a scarf, earrings could work with a necklace and a bar of soap may compliment a hand cream. Each act as an add-on as well as a cheaper option if the main item is slightly out of budget. Completing – there may be products you can offer to complete the look or function of your handmade products (e.g. batteries are needed to complete a battery operated toy purchase). What are your customers after and how can you help them get there? If they’re looking to moisturize dry skin, lotion, lip balm and cuticle oil may be options to target your niche. Don’t just add a few new handmade products to your lineup; create collections that make the products seem like they’re worth more than they are. Plan out how each product will work together and look when displayed together. Collections will help communicate your message to shoppers and make an impact when displaying. 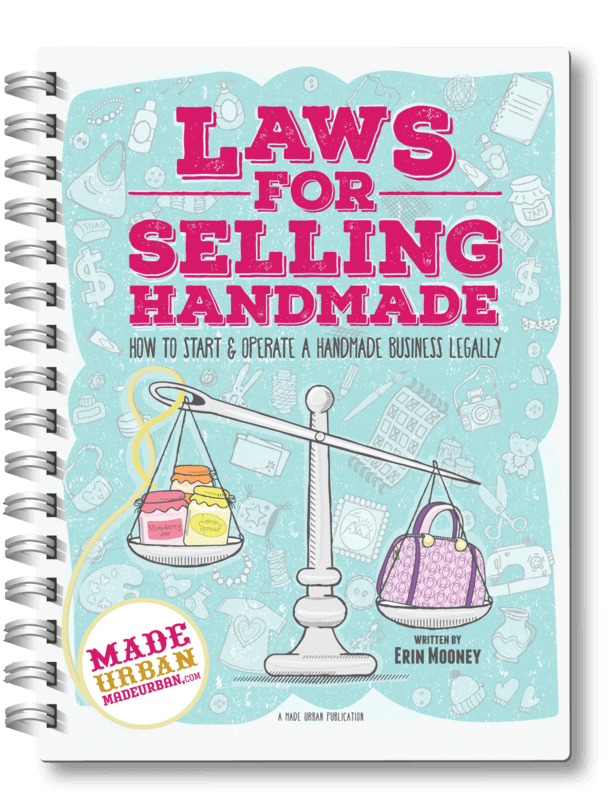 This is one of my favorite ways to make a strong impression with your handmade products and is explained in detail in the free chapter. Your homework is to download the sample chapter, read through and complete the worksheets at the end of the document. The questions will help you brainstorm different ways you can adjust to the slow economy and your customers. Once you have your products sorted, you can start looking at other areas, such as your craft fair setup to further strengthen your message and increase the perceived value of your products. The full ebook MAKE MORE MONEY AT CRAFT FAIRS will help with that. How do you deal with a slow economy? Share your tips or struggles in the comment section! Ok, I am loving your blog! I ran across a couple of your Craft Fair articles a while ago, and have been following along ever since. You have such great insight on so many aspects of small business, so THANK YOU for sharing. I would love to hear more about creating collections and that aspect of it. I have a hard time narrowing down my products to just a few colors, but I know that it would make it so much more cohesive.